Artificial insemination is the simplest technique of assisted reproduction. Is the introduction of sperm into the uterus at the time of ovulation. Therefore, egg fertilization occurs within the fallopian tube, “in vivo” fertilization unlike “in vitro” that occurs in the laboratory. Can be done with spontaneous ovulatory cycle or with a slight stimulation using low doses of hormones (FSH), always under surveillance gynecologist. Usually it is recommended that 3-4 cycles of insemination (3-4 months of treatment) and if there is no pregnancy, must consider other assisted reproduction. With this technique you can enjoy the most natural part of reproduction, combined with artificial insemination. If you want your baby to arise in the most spontaneous way, this is your treatment. 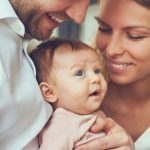 As future moms, are you looking for a technique as natural as possible? Request an appointment. Our first consultation will be free so that we can make a prior recognition of the situation and find the most appropriate alternative to your case. In our center your gynecologist and your nurse will continuously monitor the evolution of the process to ensure that they have the maximum knowledge of your case. Our philosophy is based on mutual trust and therefore we guarantee that the price of the treatment will always be the same from beginning to end. If you contact us we will give you a date immediately so you can start your treatment as soon as possible. Induction to ovulation by medication to achieve optimal maturation of one or more follicles. Preparation of the sperm samples in our andrology laboratory to optimize its quality. Insemination. Usually it takes about 3 cycles to get best results. Are you interested in this treatment? This technique helps the body to execute gynaecological processes on its own in the right way and in the right order.